I’ve got to say that I didn’t realize how difficult it would be to link to the items in this outfit until I started writing the post. The explanation is simple – all of these pieces are the trusted favorites that have been in my wardrobe for a season or two. None of it is designer wear, and most items have been purchased either on sale or at a low price to begin with. But I’m a stronger believer that it’s not the price tag that makes the outfit. 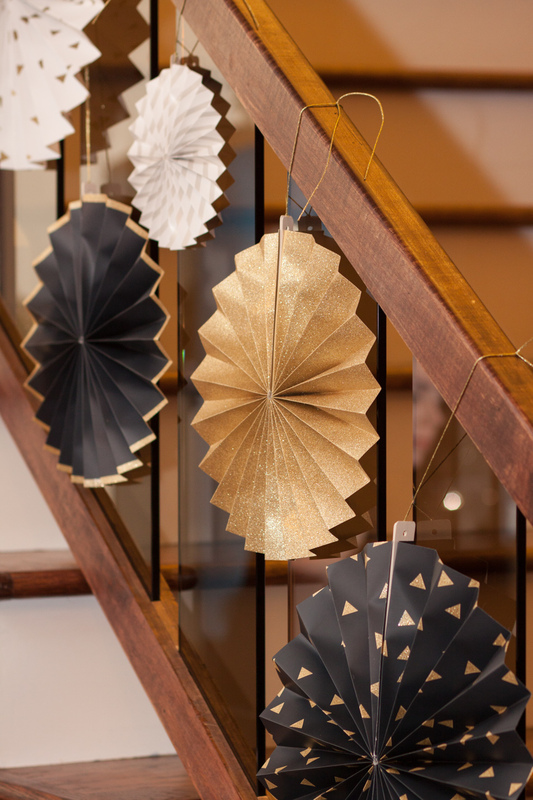 Sometimes it’s a combination of unexpected or, simply, interesting pieces that create a cool style. Just remember to go for something that can “elevate” the look rather than match the rest of your clothes and it will pay you back over many seasons of use. How to wear pastels when you like bright colors? I’ve spent enough time talking about my love for bright colors here. But do pastels have a place in my wardrobe? For sure! I do like soft delicate shades, like any other girl. But whenever I try to wear it, I can’t shake off the need to add some bold or bright elements to spice things up a bit. 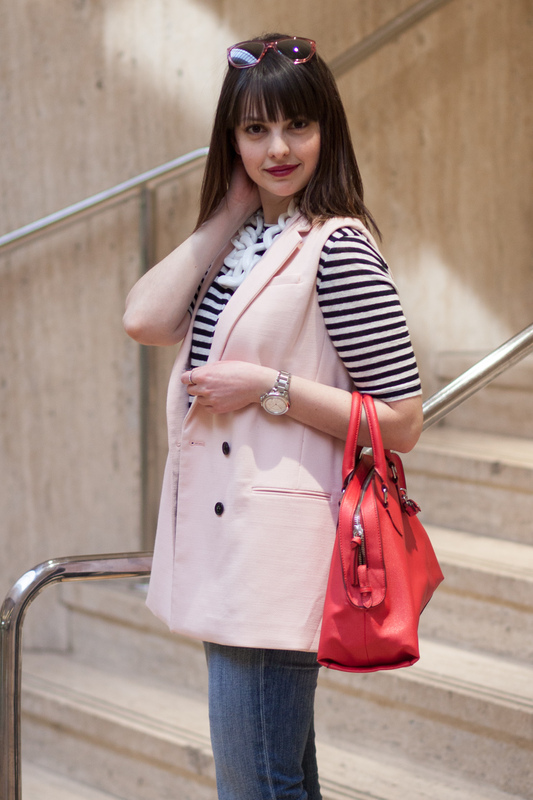 In this case red handbag and the stripy top create enough of a contrast with the pink vest without stealing she show. I’ve discovered a curious trend with some of my pictures lately. It appears that the more natural obstacles I encounter during the shoot, the livelier and more interesting the pictures that come out at the end. This set was no different. Freezing wind in my face and the brightest sun in my eyes that left me struggling to hold on to the hat and keep my eyes open for more than a second at a time can, apparently, produce some great shots. These are (hopefully) the last snowy pictures for the season, and I’m glad to start my transition to spring with a sunny farewell to winter. A full disclosure first – I have not gone skiing for the past few years and don’t, unfortunately, have it on the plans to do so in the near future. But I know a lot of you have some nice trips to the mountains coming up this season. So I figured why not do a casual chic winter look for those of you lucky enough to visit the slopes. I realize that it’s already been a week since the New Year and everyone pretty much forgot about the holidays by now. But as I was uploading photos from the camera last night I found a whole bunch of NY shots and figured I’d share them on the blog. Happy New Year everyone! I hope it’s a great year filled with happiness, amazing discoveries and fulfilled wishes! We’ve been blessed or cursed (depending on whom you ask) with an unseasonably warm weather lately. I love snow in the winter but having a chance to not wear a jacket on occasion certainly has its benefits. 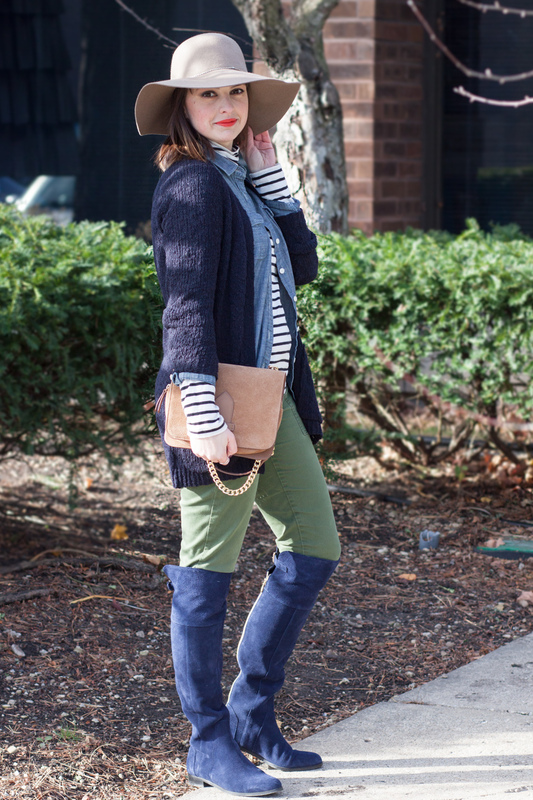 Layering up is always a good idea when faced with unpredictable Midwestern weather. And I do like the complexity of a look a few extra layers create. Talking about look’s intricacy, never underestimate the power of a bright lipstick – it may just be the perfect finishing touch your outfit requires.